The first scientific study of cannabis resin sold on the streets of Madrid reveals that the vast majority contains traces of bacteria from human faeces, and poses a serious health risk to those who smoke it. "Overall, our results showed that most (88.3 percent) of the hashish samples were not suitable for consumption," concluded the study reported in the journal Forensic Science International. "Hence, illegal street vending of hashish constitutes a public health issue." Like Bill Clinton, most people have smoked the odd joint. And perhaps like Barack Obama, they’ve even inhaled. After all, cannabis has been around for more than 4,000 years and thrives all over the planet. It was not used for medicinal purposes until well into the 20th century. And in 1961, it was deemed by the United Nations Single Convention on Narcotic Drugs to be as dangerous as heroin. You've probably heard plenty about the launch of the Canadian recreational marijuana market. And you are likely up to speed on the rapid expansion of legalization of both medical and recreational marijuana in the U.S. But how much do you know about marijuana markets in Europe? Cannabis market research company Brightfield Group released its European CBD and Cannabis Market 2019 Report on Tuesday. This report analyzed the cannabidiol (CBD) and cannabis markets in Europe and in key individual European countries. Here are 10 things you'll want to know about Europe's fast-growing marijuana market from Brightfield Group's new report. The most advanced countries for marijuana research are using science to defeat the stigma while getting people the medicine they need. It is commonly known that the U.S. is not apart of the most advanced countries for marijuana research. Due to its legal status, receiving funding for cannabis research has been proven quite difficult in the U.S. The government still holds restrictive policies and regulations on research that will look into the benefits and risks of cannabis, which is available to consumers in numerous states. Canopy Growth Corporation (TSX: WEED) ("Canopy Growth" or "the Company") is pleased to confirm that it has successfully completed a transfer of 1,500 cannabis clones to its Madrid-based partner, Alcaliber SA ("Alcaliber"), completing the first phase of a partnership entered into by both parties (the "Parties") as announced on September 11, 2017. Canopy Growth and Alcaliber enjoy a very strong and committed partnership which will continue to see Alcaliber producing cannabis genetics supplied by Canopy Growth subsidiaries for commercialization purposes. Canopy Growth also wishes to clarify that, contrary to certain speculation, the Company is not in negotiations to acquire Alcaliber. Spannabis, the most important cannabis fair in the world, ( both by number of visitors, participants, and accredited media ) will bring to Madrid the latest innovations of this great industry offering all attendees the opportunity to know firsthand the authenticity and value of products derived from the hemp plant. Marijuana stocks remain a hot place to invest and the sector continues to attract new investors every day. With over 400 publicly traded marijuana companies, finding value in the marijuana sector is not as easy as it sounds. With so many options, it is not as easy to find companies that have massive growth potential. 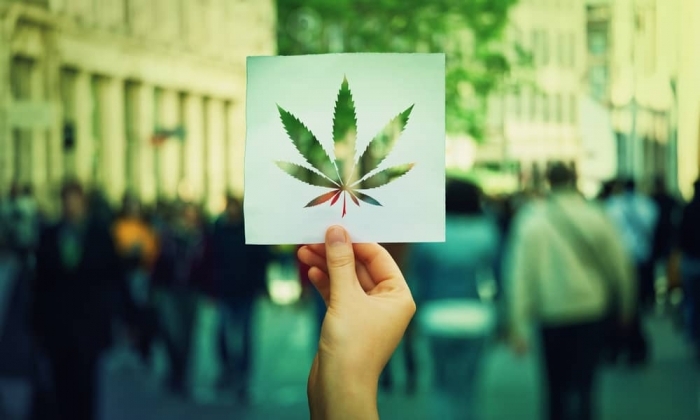 To simplify this process, we have highlighted three marijuana stocks that we believe every investor needs to be watching. The two months have been very significant for Reliq Health Technologies (RHT.V) (RQHTF) and the market has recognized the importance of these recent developments. Drug policy usually moves like an iceberg: slowly. And while and it can be hard to turn, sometimes it changes course in an unexpected direction. In the case of cannabis or marijuana, it may be picking up speed, but there are rough waters ahead.